Who doesn't love cheesecake? Baked and no-bake cheesecakes have completely different textures. 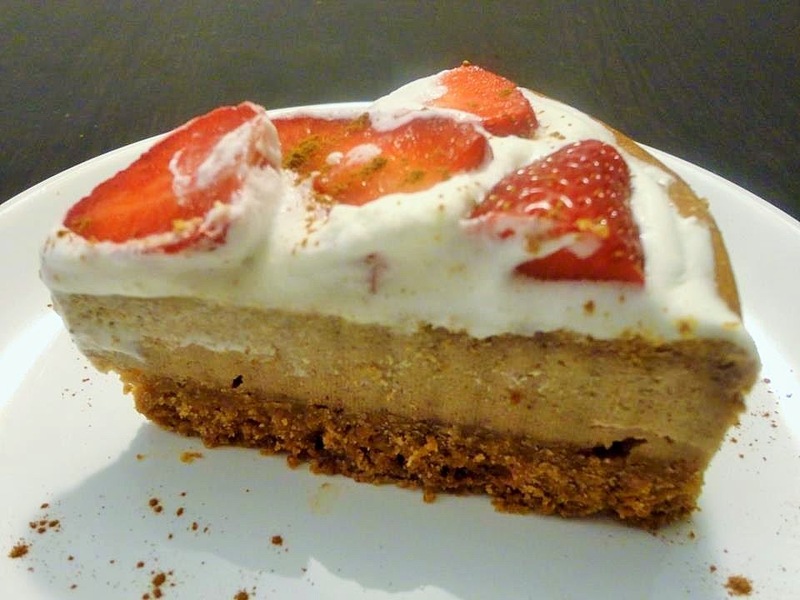 Baked, like this one has a dense texture while no-bake cheesecake is light and airy. For me, I prefer no-bake but that doesn't mean that baked cheesecake is no good. It's great! 1. Process the biscuits in a food processor. Add the melted butter and continue to process for another 10 seconds. 2. Press the mixture into the base of a 23 cm (9 in) shallow sprigform tin. Place in the fridge for an hour. 3. Beat the cream cheese and sugar together, then add the eggs and cream and beat for about 4 minutes. Fold in the flour, cinnamon, nutmeg, lemon juice and vanilla. Pour the mixture onto the chilled crust. Bake in a 180º C oven for an hour without opening the oven door, until the cheesecake is golden brown on top. 4- Turn off the heat and let the cake stand in the oven for 2 hours. Then open the oven door and let stand for a further hour. Refrigerate overnight. 5. Sprinkle with nutmeg and cinnamon and then serve. This works great with lashings of cream and some strawberries.